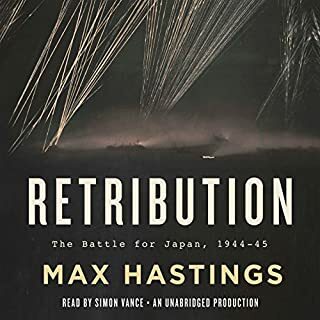 By the summer of 1944 it was clear that Japan's defeat was inevitable, but how the drive to victory would be achieved remained unclear. The ensuing drama - that ended in Japan's utter devastation - was acted out across the vast theater of Asia in massive clashes between army, air, and naval forces. 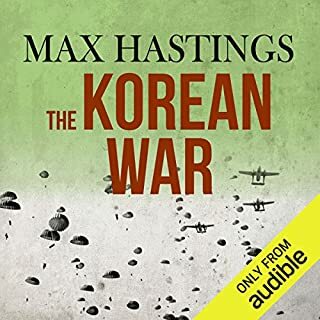 In recounting these extraordinary events, Max Hastings draws incisive portraits of MacArthur, Mao, Roosevelt, Churchill, Stalin, and other key figures of the war in the East. 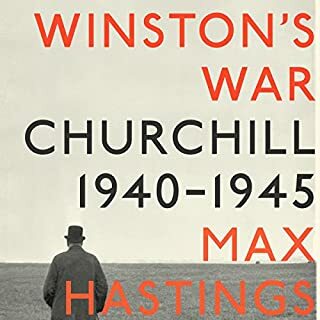 A vivid and incisive portrait of Winston Churchill during wartime from acclaimed historian Max Hastings, Winston's War captures the full range of Churchills endlessly fascinating character. 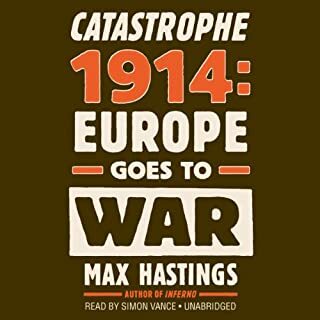 At once brilliant and infuriating, self-important and courageous, Hastings' Churchill comes brashly to life as never before. 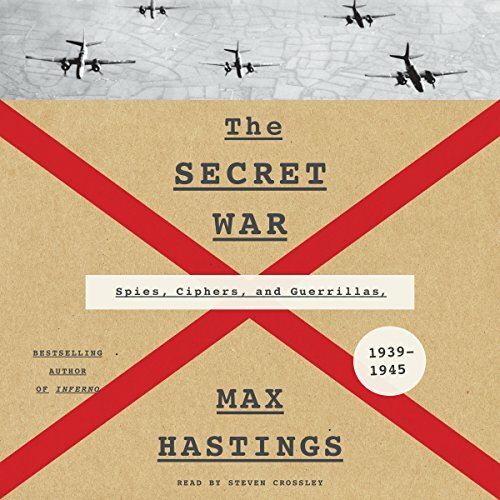 From one of the foremost historians of the period and the acclaimed author of Inferno and Catastrophe: 1914, The Secret War is a sweeping examination of one of the most important yet underexplored aspects of World War II - intelligence - showing how espionage successes and failures by the United States, Britain, Russia, Germany, and Japan influenced the course of the war and its final outcome. Extremely tedious. If I was working on my history PhD and needed a detailed source for names and dates, this would be useful, but not as something to listen to ad nauseam. Good reference book for the shelf, not good as an audio book. Steven Crossley did the best he could with the material he had to work with. I expected more detail in the way of the technical info. 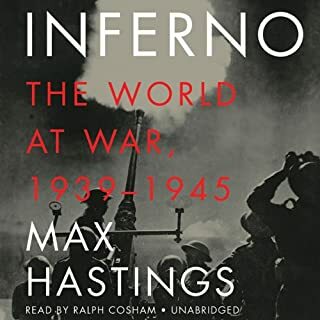 This book is unlike other from Hastings in it's tone and it really doesn't suit audio format as you will forget which theatre/belligerent is the focus of each chapter while you pause. This is one of those books that you can better read than listen to. The subject matter is very well treated, the narrator does a well enough job, but a there's a lot to ingest and a regular need to look back a few pages at a name or a date. And that, as we all know, is rather difficult with an audiobook. a very comprehensive history of secret warfare. a bit long but a good narration. Tons of stories about every angle of WWII. Very thorough if somewhat lengthly. This work is excellent on all accounts although a bit long but the information provided is worth the effort. Spying--Maybe not so Important after all. 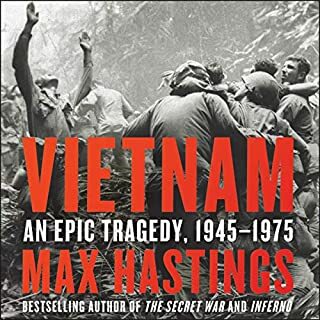 It's unusual for an author to write so much on a subject and conclude that it really wasn't all that important, but that is basically Hastings' thesis. The book looks at espionage and code breaking from the perspective of both the Allied and Axis powers. With the exception of a few cases such as Ultra and the intelligence gained by the US Navy before Midway, spying really did not alter the course of WWII. Either the intel was ignored because it was buried in a surfeit of data or conflicted with political ideology, or countries simply did not have the physical power at the critical point to alter the military outcome. This is a good read nevertheless. It resonates with current-day limitations in combating terrorism. There is a lot of minutia that is instantly forgotten and the book bogs down in spots, but the lives of spies are varied and interesting even if what they did contributed very little to the course of history. Narrator gives condescending English tone, next time select a woman narrator, preferably with a Scottish, welsh or Irish accent. Makes you wonder, apparently we did a good job as well as being out incomaptenced by the axis.